PHILIPSBURG - Even with its minor geographical footprint, the Caribbean has a major appetite for the Internet. More and more, Caribbean citizens are reflexively heading online to do their everyday essentials. In order to keep pace with that digital predilection, the modest community managing the region's networks has to keep building serious capacity. "There has to be a deeper pool of human resources in the Caribbean with technical expertise," says Bevil Wooding, co-founder of the Caribbean Network Operators Group (CaribNOG). "More people with less technical knowledge are using Internet-based technology, trusting that it will be safe. 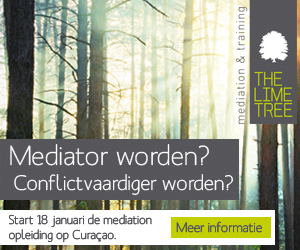 And so, a group of people have to ensure that that trust is well founded." 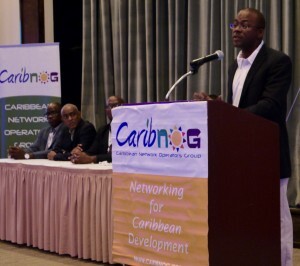 Wooding was speaking at the opening of CaribNOG's twelfth regional meeting, held at Sonesta Great Bay Resort, Philipsburg from October 24 to 26. "We have to secure the region's networks and look out for threats in different ways now that we are at this stage of the Internet's development. And that's why a group like CaribNOG is so important at this time. We become the guardians of the Caribbean's Internet development." CaribNOG 12 is part of Internet Week Sint Maarten, a five-day conference focused on developing the Caribbean Internet. The Internet Corporation for Assigned Names and Numbers (ICANN) jointly held the first three days of the week with CaribNOG. "When we started working to develop capacity in the region, we soon realised that CaribNOG had the same goals, and so we quickly decided that by working together, we could accomplish more," said Albert Daniels, Senior Manager of Stakeholder Engagement for the Caribbean at ICANN. Daniels was one of several regional experts to conduct hands-on sessions on topics including cyber security, Internet governance, IPv6 adoption and Internet exchange points. The three-day gathering is supported by the Caribbean Telecommunications Union; the American Registry for Internet Numbers; Packet Clearing House; ArkiTechs and The BrightPath Foundation. Internet Week Sint Maarten will close with Sint Maarten on the Move, a two-day event jointly hosted by the Internet Society (ISOC) and the Latin American and Caribbean Internet Addresses registry (LACNIC).